Glennon Brothers has been manufacturing high quality timber products since 1913. 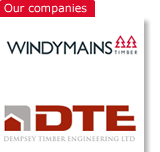 Through plants in Longford and Fermoy, and Windymains Timber and Adam Wilsons in Scotland, we supply both the Irish and UK markets with products for the construction, pallet wood and fencing industries. Timber processing produces residual by-products such as woodchip, sawdust, bark and shavings. Glennon Brothers also design, manufacture and supply timber frame homes and engineered roof trusses through Dempsey Timber Engineering in Arklow and Alexanders Timber Design in Troon, Scotland. Strength, endurance and attractiveness are the qualities that make Glenfence the natural choice for your garden. 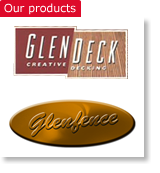 Glenfence is a strong and durable fencing for around the house and garden.